More than five million people are injured in traffic accidents every year throughout the country. If you’re involved in an accident that leaves you with injuries, follow these steps to get the compensation you deserve. Seek medical attention: If you are hurt, or even if you think you may be hurt, seek medical attention immediately. 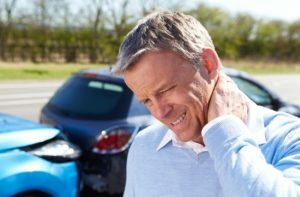 Getting treatment promptly may decrease the severity of your injuries, and it will also allow you to prove to your insurance company that your injuries were caused by the accident, not a later event. Take pictures of external injuries: Because injuries like bruises and cuts heal quickly, they are difficult to prove to insurance companies or in court without photographic evidence. Pictures will help others understand the extent of your pain and compensate you accordingly. Save all paperwork: As you’re being treated for injuries, be sure to keep all receipts, paperwork, and mail you receive regarding your treatment, so you can prove to your insurance company the financial compensation you deserve. Providing evidence of treatment will also be another way to help others understand the severity of your injuries. Do not sign anything from your insurance company: Your insurance company may try to offer you a settlement that doesn’t entirely cover your medical bills, which you may inadvertently accept by signing paperwork. To avoid being stuck in this situation, do not sign anything from your insurance company. In fact, don’t even cash a check; some insurance companies will interpret this as your acceptance of their proposed settlement. Hire an attorney: After an accident, your insurance company isn’t on your side. They want to pay you as little as possible—probably less than you deserve. Avoid this outcome by hiring a personal injury attorney to help you fight for the compensation you need. After you’ve been injured in a car accident in Washington DC, contact the Rich Firm at 1-888- RICH-LAW (742-4529) to schedule a consultation. Our experienced attorneys can help you win a settlement to pay your medical bills and compensate for your pain and suffering. Previous Post : What is negligence? What are the dangers of negligence?